With the advent of wireless connectivity people have got surprising mobility. With Wi-Fi high-speed Internet became available, no matter where you are - at work, in cafes or at home. Most importantly, this place was part of the coverage. Enter the menu "start". Select "Settings" and them - "Network connections". Right-click on the icon "my Network places" call drop-down menu, then choose "Properties". Click on the icon "Wireless network connection" in a new window "Network connections" right mouse click. In the drop-down menu, select "Enable". Return to the window "Network connections". Right-click click the icon "Wireless network connection" and select "Properties". In the opened tab select "General" and make sure that the flag is on the buttons When connecting show icon in notification area" and "Notify when limited or no connection". Go to the tab "Wireless networks" in the same window. If the tab "Wireless networks" in the window "Wireless network connection" - "Properties" for any reason is missing, click OK. Enter the menu "start" select "settings" and go to "control Panel". In the new window "control Panel" and double clicks on the icon "administrative tools" and "Services". Make sure the service Wireless zero configuration is operational. Otherwise, double click the icon "Wireless setup" and in the new properties window, click the "start" button and OK.
Return to the window "Network connections". Right-click on the icon "Wireless network connection" call drop-down menu and go to "Properties". Make sure that on the tab "Wireless networks" has a check mark on "Use Windows to configure network". Click "Add" under "Preferred networks". Click on the tab "Connection". Enter MIAN in the column "Network name". Make sure that the button "Connect even if network is not broadcasting" check box is raised. Select WPA in the menu section "authentication". Select TKIP from the dropdown menu under "data Encryption". Check that the flag was raised on the button "Is a direct connection the computer-computer" and filmed on the button "access Points are not used". Go to the tab "authentication" in the window "wireless network Properties". Select "Protected EAP" in the drop down menu EAP Type". Uncheck the button "authenticate as computer when information is available the computer." Make sure that the check box is not on the button "authenticate as guest when no information about the computer or user. Click "Properties". Uncheck the button "Validate server certificate" in the window "Protected EAP properties". Check whether "Secured password (EAPMSCHAP v2) under "Select authentication method". Raise the flag on the button "Enable fast reconnect". Click "Customize". Uncheck the button "Automatically use my logon name and password of Windows" in the Properties window EAPMSCHAP v2". Then press the OK button. Click OK in the window "Protected EAP properties". Click on the tab "Connection" in the pop-up window "wireless network Properties". Make sure that the flag is raised on the button "Connect when this network is in range" and click OK.
Click OK in the window "Wireless network connection properties". Names of buttons and tabs change slightly depending on the version of the operating system. The improvement of operating systems the procedure for connecting to wireless networks easier and, perhaps, some of these steps will be unnecessary in your case. 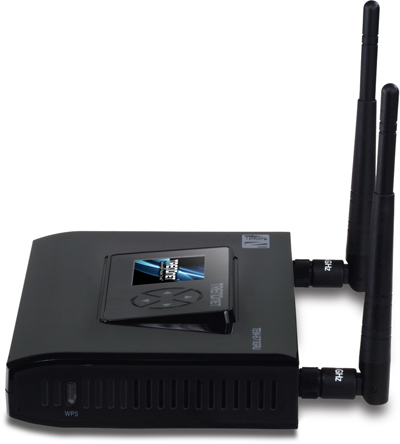 The WiFi network connects to a laptop or PC via access point — a device that is sold separately. When choosing access points need to come from technology, which connects a network on your computer. The easiest ways Internet connection are connecting via ADSL and Ethernet. 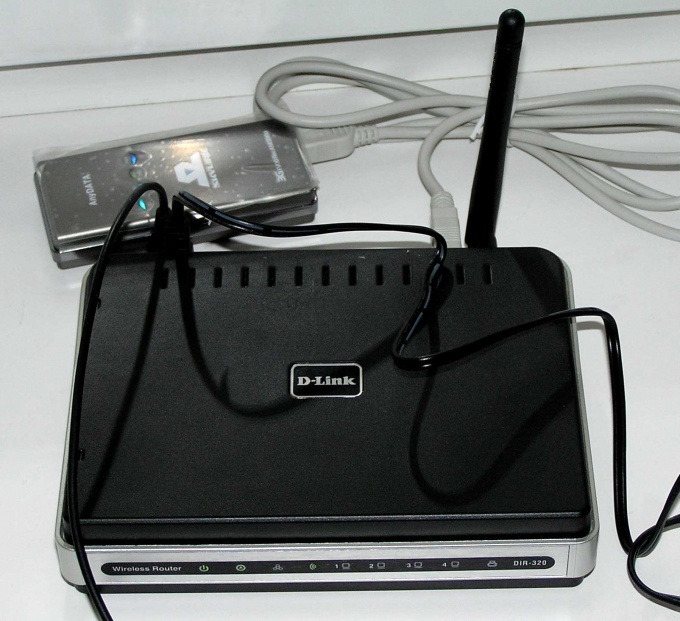 The first method is connection via the ADSL modem, into which is embedded the WiFi adapter. The second connection is through a router that supports WiFi. Turn on the modem, produce a factory data reset in order for the modem was configured by default, click "Obtain an IP address automatically". Connect the modem to the network card obtains an IP address automatically. In the address bar of the browser enter the address of the modem. This is most likely 192.168.1.1. by default. Press the Enter key. Enter to access the modem user name and password. All the data is in the instructions. So we will go to the Web page of the modem settings. Then you need to change the password to the modem. Find the section Management, select Access Control, and Password. 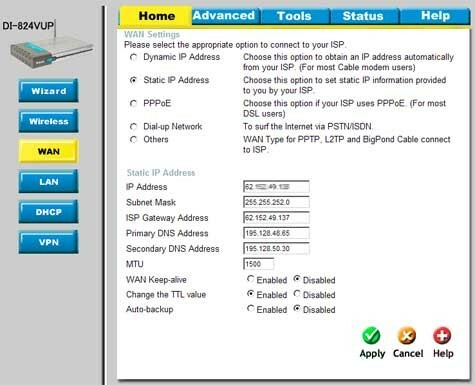 Find the Advanced Setup section, select the WAN menu, placing a check-mark and click Remove. Then save the settings Save/Reboot and restart the modem. Create a new connection. For this you need to find out from your ISP in the VPI and VCI settings. Select the connection type PPPoE. Enter the login name and password, which we got from your ISP. Authentication Method select AUTO. Leave MTU as default. DHCP set to enabled. Enter the name of the wireless network and save the settings. When the modem rebooted, and everything is set up correctly, start the browser and check that the Internet is. All, Wi-fi in your laptop is configured. As a rule, most laptops have a built-in Wi-fi module. Moreover, the laptops are made with application of processing technique of Intel Centrino, such devices Wi-Fi is already configured. Laptops are gaining more recognition in comparison with conventional desktop computers. This is mainly due to their mobility, compactness and ease of use. Not surprisingly, with the use of a laptop trying to abandon the wired Internet. Cable anchors your laptop to a specific place, thereby removing all of its advantages. But there are many ways to create a wireless network for laptop at home. network cable (usually supplied included with the router). Purchase a Wi-Fi router. It is not necessary to configure the wireless network, but this method is the easiest and most convenient. Select the router based on the capabilities of your laptop and the desired zone of signal propagation. Connect the laptop to the router using a network LAN cable by plugging it into any free slot except the main. In the browser address bar enter //192.168.0.1. You will see the settings of the router. Set the password to access the router settings. Enter the connection settings to the Internet based on the requirements of your ISP. Open the wireless settings Wi-Fi router. Specify the desired options for data transfer and encryption. It is best to use the network 802.11 n with encryption WAP-PSK or WPA2-PSK. This network supports high speed data transmission at a great distance, and encryption is considered the most reliable. Be sure to enter a complex password consisting of Latin letters and digits. Restart the router, unplug the power for 20 seconds. Go to search for wireless networks on your laptop, select the networkyou just created and then connect to it by entering the password. Router it is better to put in the center of the apartment, to provide a quality signal in all its parts. Today, many cafes, restaurants, hotels and even halls at railway stations and the airport is equipped with access points wi-fi network. Waiting for an order or transport, you can connect via a laptop and to spend time. Make sure that you are within range of a wi-fi network. To inform visitors to cafes, shopping centres, halls at the airport with this purpose, a pointer is a Wi-fi Zone and Wi-fi. Turn on the laptop and wait until your operating system. Make sure that the adapter's wireless networking is enabled. About it as informs the light located on the front of the laptop. 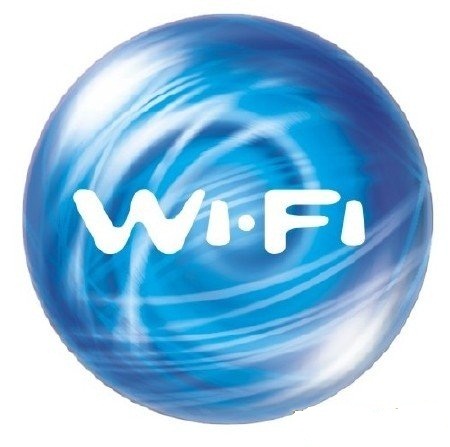 As a rule, it has the icon of wireless networks. In some models there is no separate switch. Then this function performs one of the keys F1-F12 located at the top row of the keyboard. It is printed on the graphic pattern of the antenna icon. After the adapter wireless networks the laptop itself will find all available networks in the area which is. In the lower right corner on the task bar icon will appear in the available wireless networks. Click on it to see the list. Select the desired wi-fi network and click "Connect". If the wi-fi network open access, for example, in a cafe, hotel, will open the login window with information about the institution or network, and specify how to access. If the wi-fi network of the closed type, the screen will be a request for security key. In this case, you must contact the administration of the institution to provide you a login and password to provide access. When the connection is established, open your browser, type at the command prompt, the address of the desired website and go to it. It should be remembered that the range of the signal of the access point is around 30-50 meters. The strength of the signal depends on the presence of obstacles and/or interference. The closer you will be to the access point, the better the wi-fi network. 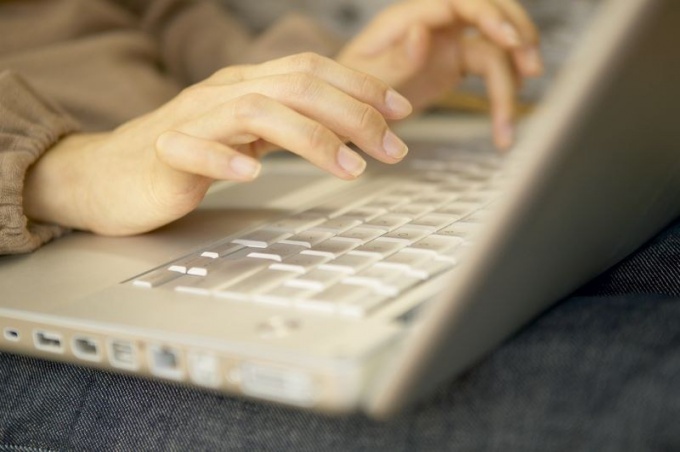 By connecting to public wi-fi networks restrict access to folders located on your computer, to prevent theft of personal information.